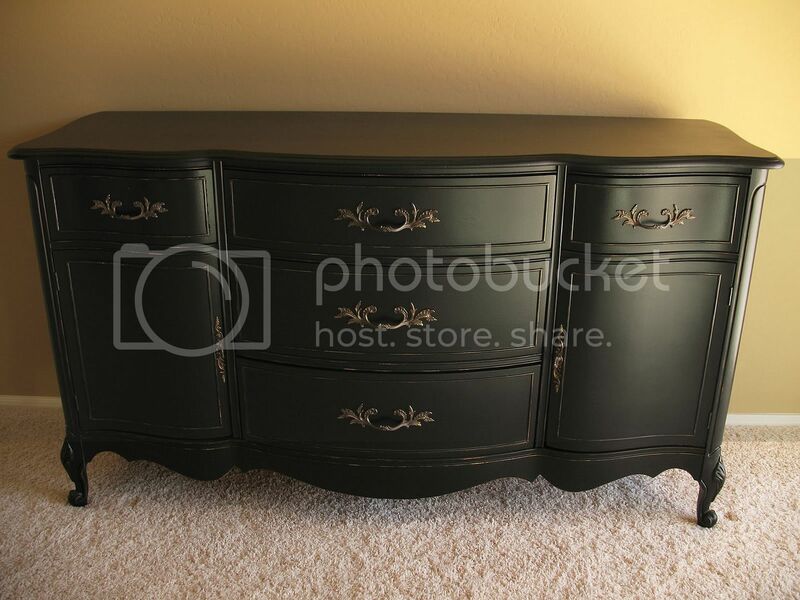 Beautiful provincial buffet in distressed black finish. Solid wood. 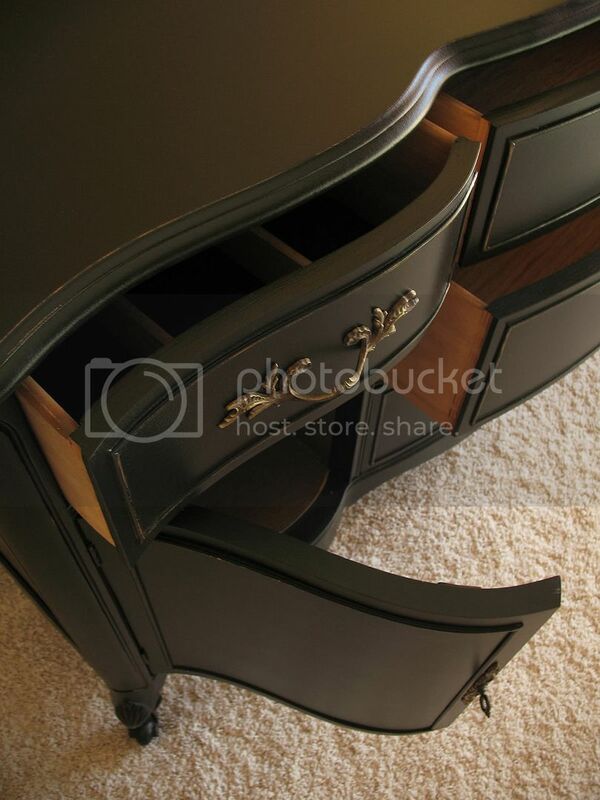 Dovetail drawers and scalloped bottom. Original Hardware. gorgeous! 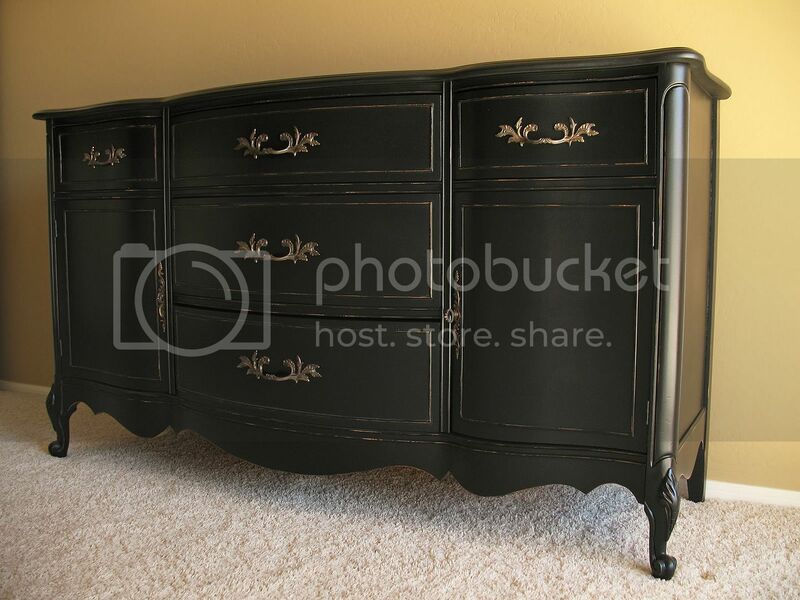 i just love these french pieces in black- they look so sophisticated! lovely and simple…love the pulls. Thanks for sharing at my party! absolutely gorgeous color and beautiful distressing with the handles! so jealous of this one!! Really great piece. Love what you did with it. The pulls are really nice too. Classic style! I love it. wow I love this! 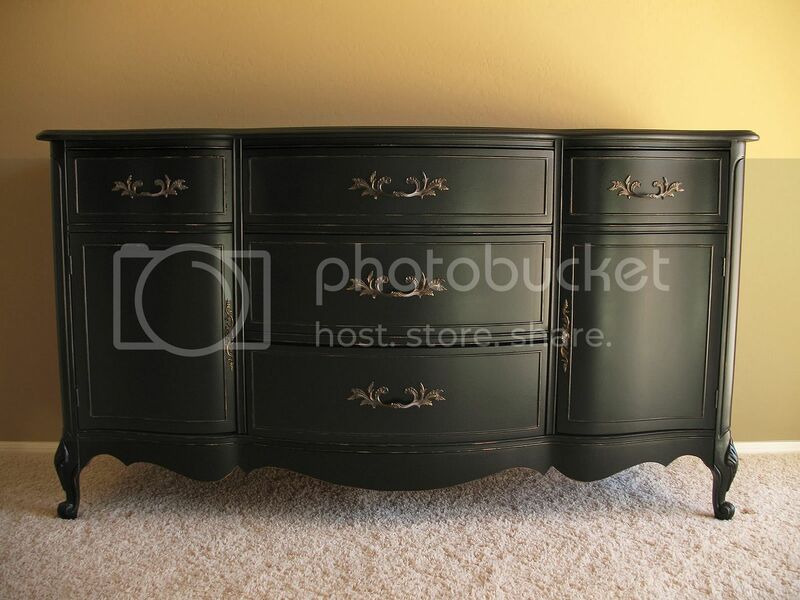 I have a buffet from my in-laws that needs a good paint job like this! I just love it! This is such a beautiful piece~ you did an amazing job on it! I’m thinking that should be reserved in my name!! LOL! That is stunning and we are so glad you shared it with us at Inspiration Friday this week! wow, I love how this came out! 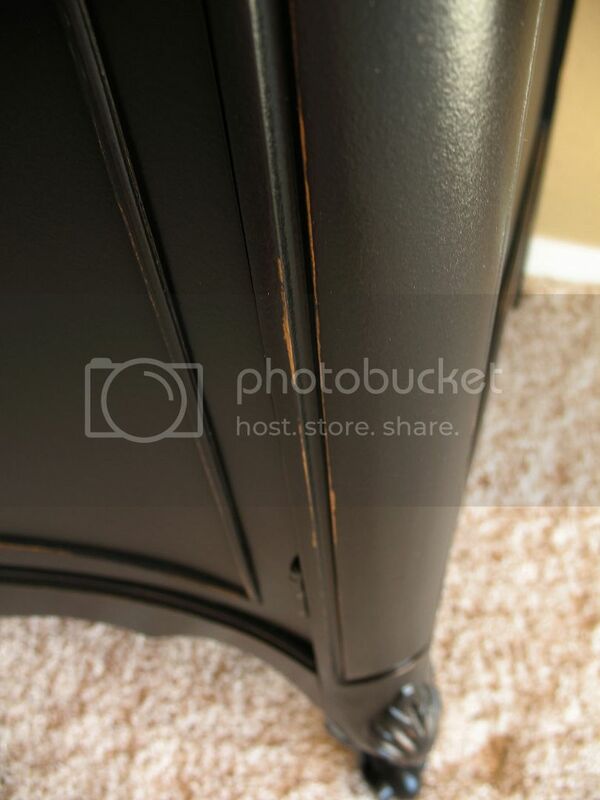 You’re so good with refinishing furniture. Thanks for linking this to Wicked Awesome Wednesday. Black maybe the new white. Gorgeous. This is stunning! 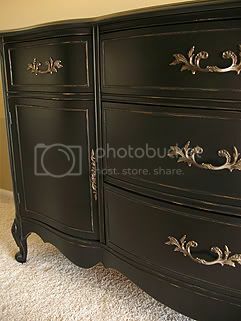 Gorgeous black! Loved your space…beautiful and elegant! Lovely I need to find a buffet and paint it for my almost empty dining room! Come share this with WorkShop Wednesday. It would be a nice addition to the party! sell it to meee! ;D i I know it says reserved but I want it!.. its soooo beautifull! 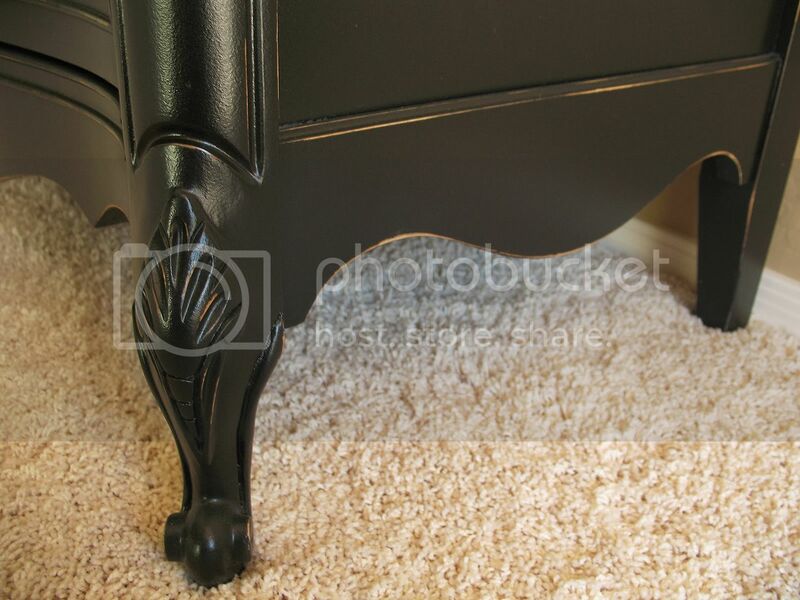 Love this ….where can it be purchased and what is the price and dimensions.